Brian Athey is the Michael A. Savageau Collegiate Professor and Founding Chair of the Department of Computational Medicine and Bioinformatics (DCMB) at the University of Michigan Medical School; where he also a Professor of Psychiatry and Internal Medicine. In addition, he is the founding co-director of the campus-wide Michigan Institute for Data Science (MIDAS), now entering its fourth year. Athey serves as PI of the UM NIGMS T32 UM Bioinformatics Training Program (in Year 13 of 16). DCMB faculty are deeply committed to translational bioinformatics, genomics, epigenomics, trancriptomics, proteomics, metabolomics, network systems, and multi-scale ‘omics integration research. In addition, DCMB has recently built significant strengths in biomedical data science, with four key faculty hires in this area completed in the past 18 months. 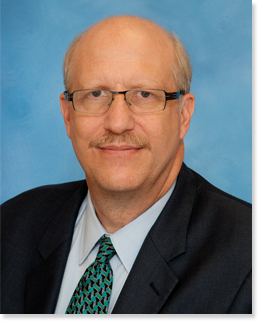 In 2007 Athey was founding Associate Director of the Michigan Institute for Clinical and Health Research (MICHR) CTSA and Director of its Biomedical Informatics Core. Athey has more than 20 years of experience in trans-disciplinary team science-based leadership experience as overall Principal Investigator of national biomedical informatics and computational sciences centers and consortia. These include the National Library of Medicine (NLM) Visible Human Project, the DARPA Telepathology and Virtual Solider Projects, and the NIH National Center for Integrative Biomedical Informatics (NCIBI). Trained as a biophysicist, as a graduate student Athey proposed the double helical crossed-linker model for chromatin, now considered by most to be its correct structural motif. He is currently an active researcher in ‘pharmacoepigenomics’, a field he help establish; and he previously served as chair of the SAB of Assurex Health, recently acquired by Myriad Genetics. Athey has served as a consultant to the Defense Science Office of DARPA, and to the NIH Office of the Director (OD) and the NIH CIO.